If you’re looking for the world’s most expensive bottle of tequila, be prepared to pay a pretty, diamond-encrusted penny. The Ley Diamante from Hacienda La Capilla comes in platinum bottle riddled with over 4,000 white diamonds. The liquid inside is extra añejo. And it costs $3.5 million. Is it worth it? Maybe. But we can’t say for sure having never come into a few extra million dollars that we were willing to spend on a single bottle of tequila. We can tell you that the bottles below are worth it, though. They might not cost more than a Malibu mansion, but they still definitely qualify as a splurge. If you’ve already secured your everyday, under $30 bottle and you’re looking to open your wallet up for a special tequila, opt for one of these. This crystal clear, small batch tequila is a blend of blanco tequila and extra añejo. It’s the brainchild of Bertha González Nieves, the first female Maestra Tequilera, who puts extreme care and time into every batch of 500 bottles (that’s very small production). 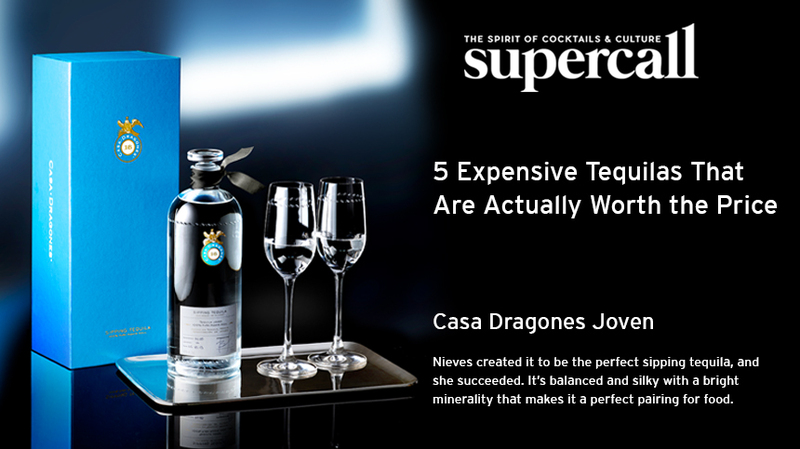 Nieves created it to be the perfect sipping tequila, and she succeeded. It’s balanced and silky with a bright minerality that makes it a perfect pairing for food.